Renovating your home is an opportunity for you to express your individuality, style, and ideas through your home. 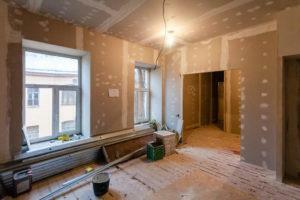 A home renovation brings many advantages for homeowners and can do wonders for your property. Renovating is an exciting venture that with a well-detailed plan can accomplish great things. 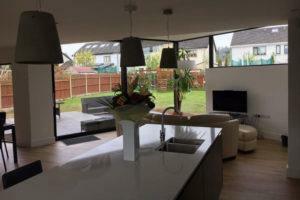 If you want to increase your quality of living, then a home renovation is perfect. There is more, and more research which proves that the environment we live in has a direct effect on our mental health. The most important environment we live in is our home, and it is the place where we spend most of our time. The link between our environmental surroundings and our well-being is significant. Beautiful environments result in a rush of endorphins which are feelings, and hormones of happiness. A home that is healthy, and appealing can do more than improve our mood, it can also have an effect on our immune system, and physical health. Living in an unappealing, cold, badly lit, and poorly designed home can feel distressing. When living in a home you don’t love you are less likely to maintain it as well. Having friends is important in life, not being comfortable with your house lessens the opportunities for social interaction with them as you are not inclined to ask them over. A newly designed, welcoming home will encourage you to have people over which will make your social life better. A newly improved ho me can influence how you feel but also how you interact with others. One of the ways to improve the functionality of your home to provide a better environment to live is by renovating your home into a smart home. Smart homes are environments where technological devices interact with people to give them a great experience. They provide a homeowner with value, they can predict and respond to people’s needs, these types of homes have the capability to react intelligently by predicting, anticipating, and making decisions with self-rule. The possibilities are endless to what you can do with your home. Renovations are the perfect opportunity to enhance the layout of your home. By making a big change through planning, designing, and building you’ll be amazed what can be done to your home, and surroundings. Our designers and builders will ensure that your renovated home will not only be well-designed and healthy but also great looking. At Sigma Homes, our years of experience in providing fantastic home renovation services has allowed us to transform people’s homes for the better. For more information on getting a renovation call us on 021-436-5866.